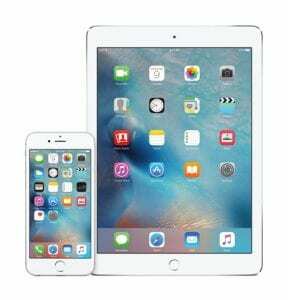 Apple just released the iOS 9.3.3 update, the final version for iOS 9 before the new iOS 10 this fall. For this reason, Apple allowed for extra testing time taking over two months with five separate betas to ensure the OS is as secure and stable as possible. With this update, Apple patches security holes in iOS 9‘s Calendar, CoreGraphics, FaceTime, and Safari apps. Each of these fixes addresses the ability for hackers to run unauthorized code or expose private information. The two important security issues dealt with in the iOS 9.3.3 release are remote code execution and accessing API process lists. Previously hackers were able to run code on your device from a malicious site. The two image-handling vulnerabilities allowing attackers to do run the code is patched with this update. The other major security hole allowed for hackers to get information from the process run on your device. These API calls are now blocked for both getting the process list and getting additional info about each process, including information about the signing certificate. The iOS 9.3.3 is available for iPhone 4s and later, iPod touch (5th generation) and later, iPad 2 and later. If you’re running an iPhone or other iOS devices compatible with the update, the OIT Security Team recommends updating to iOS 9.3.3 to resolve these issues.